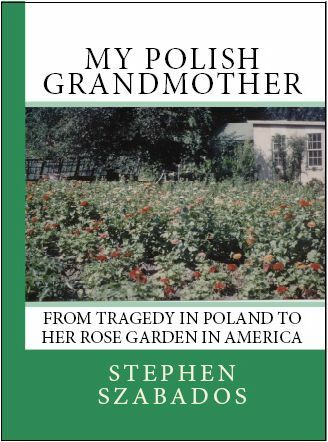 I am very thrilled to announce my new eBook – My Polish Grandmother: from Tragedy in Poland to her Rose Garden in America. This is a brief biography of my grandmother. I think this will be interesting for all readers with Polish ancestors because it tells the story of a Polish immigrant from the perspective of a woman. Her reasons for immigrating were similar to my grandfather’s but the challenges and fears of women immigrants were far different than their male counterparts. How our women immigrant ancestors overcame these challenges should make them heroines in our eyes. Since it is an eBook, I priced it at $2.99 and you can try reading it a a small risk. However I am sure you will find it interesting and worth the effort.